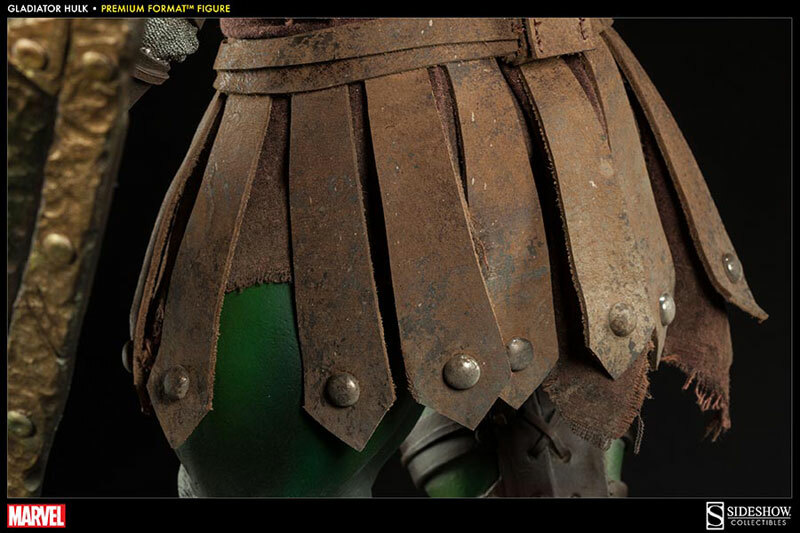 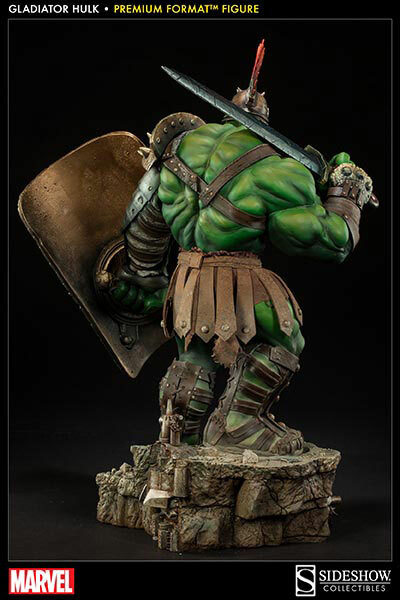 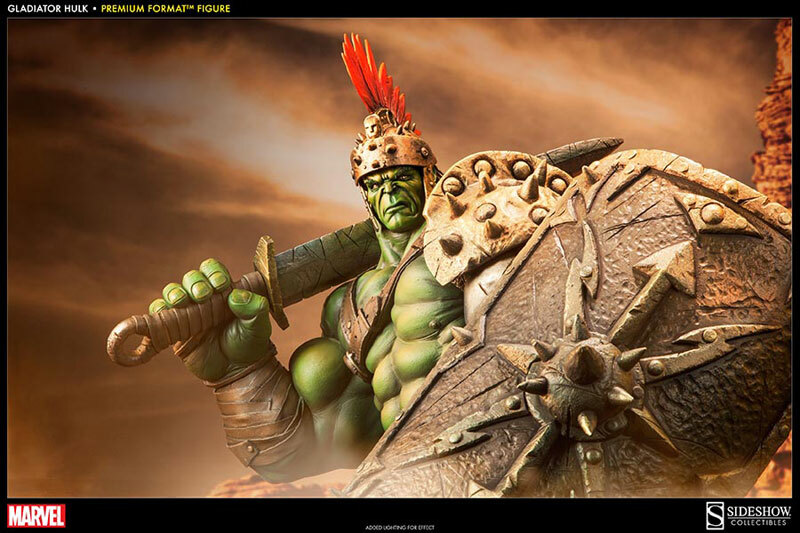 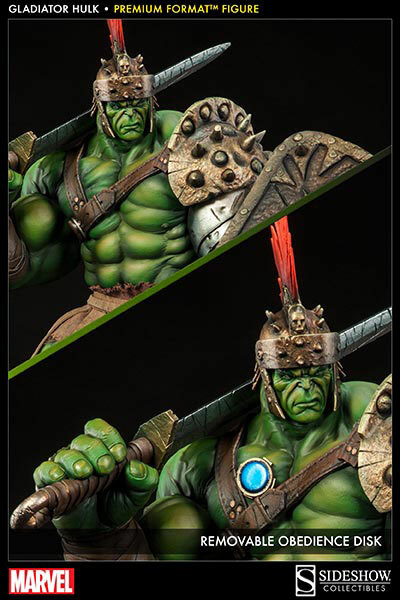 Sideshow Collectibles presents the Gladiator Hulk Premium Format figure. 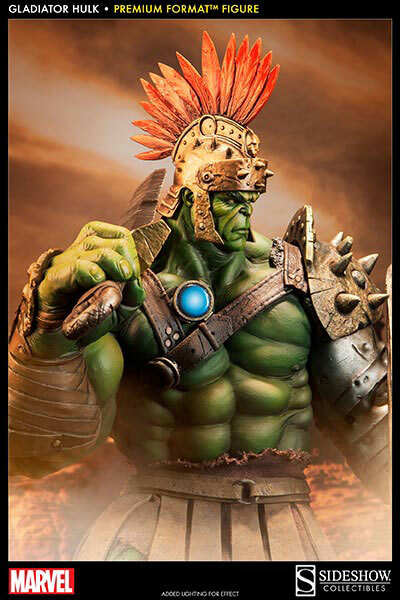 From the Planet Hulk storyline, Hulk has been exiled to the violent planet Sakaar, captured and forced into the great gladiator arena. 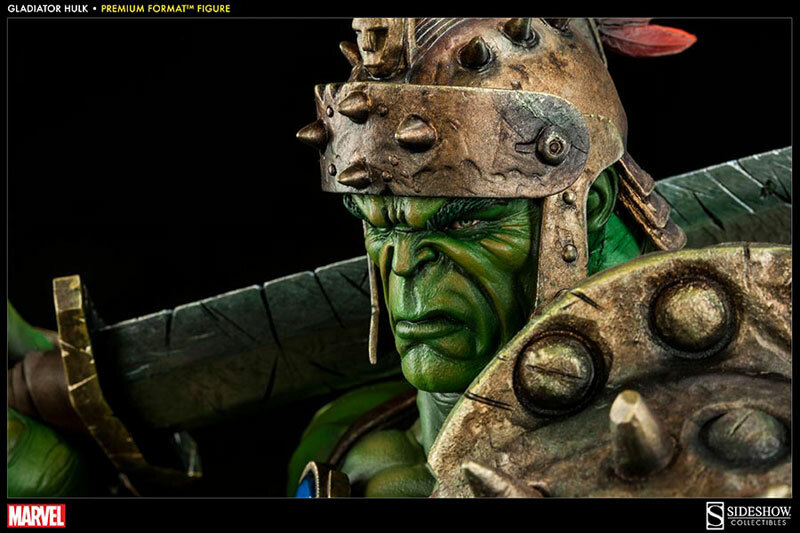 Ready for battle, he dons a detailed helmet, armor and leather kilt, fighting under the gladiator name, Green Scar. 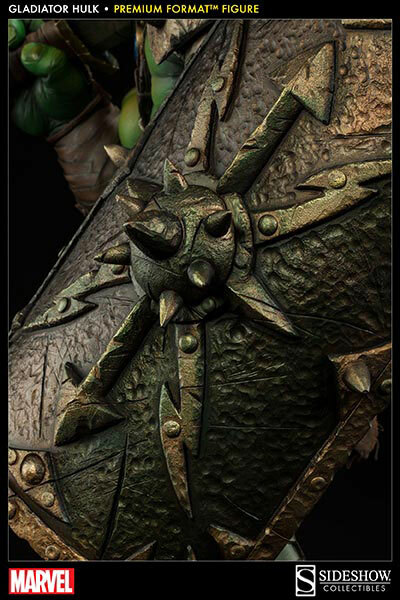 The fearsome combatant wields a hefty broadsword and shield, but wears a restrictive obedience disk that keeps him under the Red King's control. 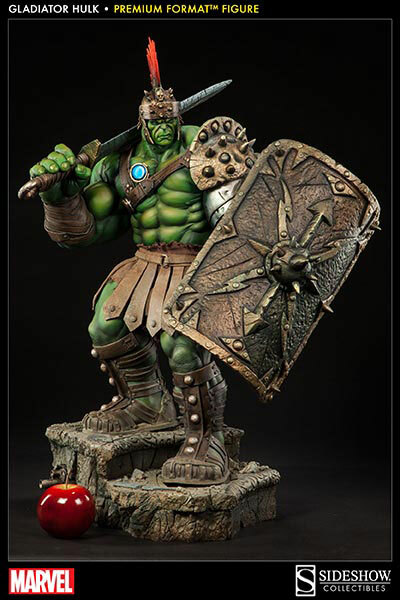 A fierce warrior and unbeatable opponent, Hulk will soon rise to challenge the Red King in a deadly struggle for supremacy. 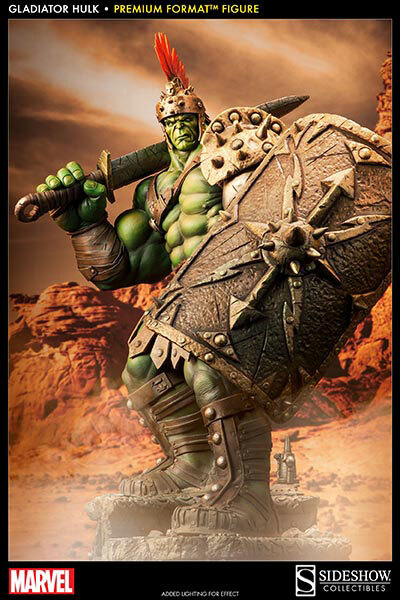 Crafted in 1:4 scale, the Gladiator Hulk Premium Format figure towers at over 30 inches tall; smashing all puny pretenders in his wake.